Sold by Al Ras Building Material L.L.C. 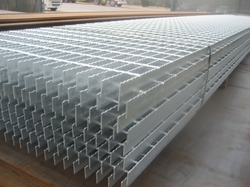 We are one of the leading importers and stockists of structural steel in the UAE since the past 28 years. We provide a comprehensive product range, covering over one thousand unique structural steel items, with consistent supply to a wide spectrum of industries, including Oil and Gas , Ship building, Fabrication and Construction. Location of Al Ras Building Material L.L.C.